In 1937, Fred S. Carbon developed the recipe for the World's First Improved Flour. 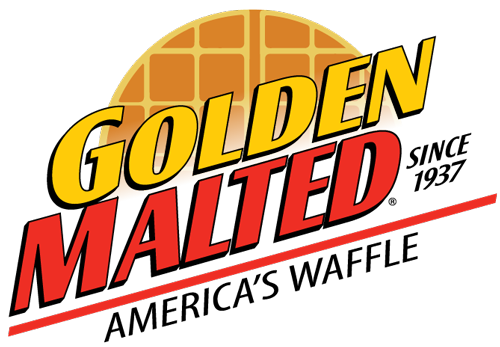 The unique recipe of the highest quality wheat flour and corn meal, blended with nutritious malt and a secret mix of flavoring, make delicious Golden Malted Waffles and Pancakes of superior taste and texture. Fresh Baked Waffle Program - Waffle Irons are Provided at No Cost! Standing out is easy when you are serving America's Favorite Waffles and Pancakes! 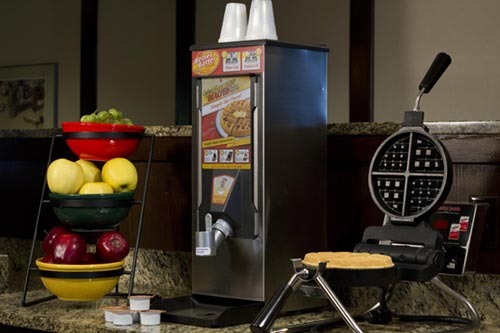 We provide free of charge, and on loan, our heavy-duty commercial waffle bakers to our customers with exclusive use of Carbon's® Golden Malted® line of great tasting mixes. Complete the contact form below or call 888-596-4040 for more information.